Road bicyclists are many varying types: commuters, messengers, urban cool, social, hard-core and recreational. With the “green” revolution in alternate transportation, the proliferation of bike lane access, and the social and fitness benefits, bicycling is very popular in the Greater Cleveland area. Ohio law requires cyclists and drivers to share the road within the following legal parameters. Knowing your legal rights and responsibilities is vital for all cyclists’ riding safety, enjoyment and experience. A bicycle is defined as a vehicle: a cyclist must obey all traffic rules applicable to vehicles. Ohio Rev. Code Ann. (ORC) §§4501.01(A) & 4511.01(A). For example, a cyclist must stop at red lights and stop signs (ORC §4511.43); yield to pedestrians on a sidewalk (ORC §4511.441); use a specified front white light, rear red deflector and light from sunset to sunrise and when visibility is low due to weather conditions. (ORC 4511.56); and ride in the direction of road traffic (ORC §4511.25). FYI: cyclists that follow traffic laws are in 75-80% fewer accidents! No points can be assessed for a cyclist who violates traffic laws unless the cyclist is driving under the influence (DUI) (ORC §§4511.52 and 4511.19). Often times, a police officer may cite a cyclist and inadvertently fail to delineate the citation as a no point violation. All cyclists should be leary of waiving an appearance on a bicycle traffic citation to avoid being wrongfully assessed points for a moving violation. Also, if a cyclist is cited in a car-bike accident, an Attorney should be consulted before a cyclist waives an appearance, or appears in court, to assess the validity of the citation. A cyclist must ride as near to the right side of the roadway as practicable and obey all traffic rules and exercise due care when passing. However, a cyclist is not required to ride at the right edge of the roadway when it is unreasonable or unsafe due to surface objects, hazards or when the lane is so narrow that a car cannot safely pass the cyclist (ORC §4511.55(A) & (C)). Ohio law does not mandate the wearing of a helmet, but some local authorities i.e. cities, require helmets, especially for minors. Though it is generally legal for an adult to operate a bicycle without wearing a helmet, two-thirds or more of fatally injured bicyclists were not wearing helmets. 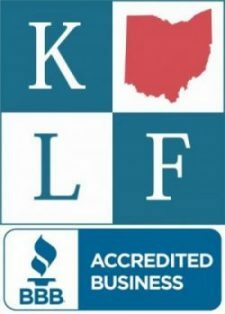 Ohio law provides that its state traffic laws do not prevent local authorities from reasonably regulating the operation of bicycles; however, no regulation can be fundamentally inconsistent with the state traffic laws. No local regulation can prohibit the use of bicycles on any roadway with the exception that a cyclist cannot ride on a closed access highway or freeway (ORC §§4511.07 (A)(8) & 4511.051). Ohio Law permits cycling on the sidewalk, but many local ordinances have restrictions mostly in business districts aimed at inherent safety concerns when cycling on a sidewalk. No local authority can require that bicycles be operated only on the sidewalk (ORC §4511.711 (A)). Ohio law allows cyclists to ride two abreast (ORC §4511.55(B)) but many local ordinances prohibit it. Query, are these local ordinances fundamentally inconsistent with state law? Finally, Ohio law prohibits texting or emailing while driving, subject to some exceptions. A minor with temporary or probationary driver’s license is prohibited from using a cell phone while driving (ORC§§4511.204 & 4511.205). If a cyclist is hit by a car and the driver was distracted e.g. (on a cell phone) or impaired (any evidence of drinking or drugs). A driver is liable for bike damage and injuries to a cyclist in a bike crash if that driver was negligent or was driving unsafely Negligence also means being careless or inattentive. If a driver violates a traffic law, that is considered negligence. A cyclist, on the other hand, must be vigilant not to violate any traffic laws that apply to cyclists. Make sure you have your front and bike lights on whenever it is dusk or dark out. Stay very visible. I have represented cyclists hit from behind at night whose red rear lights were still flashing when the police arrived, cementing the cyclist’s visibility and compliance with the law. Finally, every cyclist who owns a car or is insured under an auto liability policy as a household/family member, should be sure to have uninsured motorist coverage (‘U’ Coverage). This is coverage which applies if you are hit on your bike by a careless uninsured or underinsured driver. Your U coverage should be at least 100,000.00 or more. You have to ask your insurance agent or company for U coverage, as there is no longer any requirement to automatically offer this coverage. If a cyclist is hit by a careless hit-and-run driver, U coverage will also apply if you have independent corroborative evidence besides your word that it happened. A witness would satisfy this evidence or it could be cumulative such as the police officers’ observations, bike damage with paint transfer, your statements made immediately following the crash, and medical records. A cyclist who is the unfortunate victim of one of the many hit-and-run accidents in the Cleveland area, should always call the police and secure a witness name and contact info, if possible. Knowing your legal rights and responsibilities as a cyclist will serve you well on the road and help keep you safer. 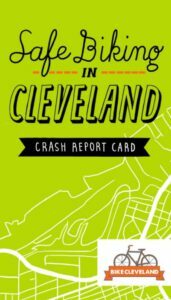 Bike Cleveland offers a handy “Crash Report Card” you can keep on you in the unfortunate event you are in a crash. It will help you record all the necessary info. You can download a copy below by clicking HERE , pick one up at a local bike shop or email BikeCleveland at info@bikecleveland.org and they will send you a copy.